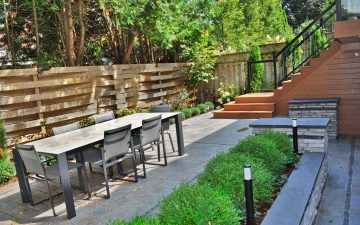 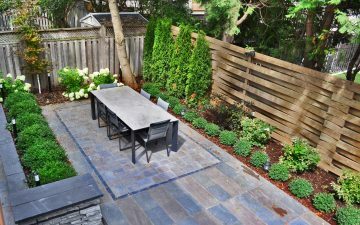 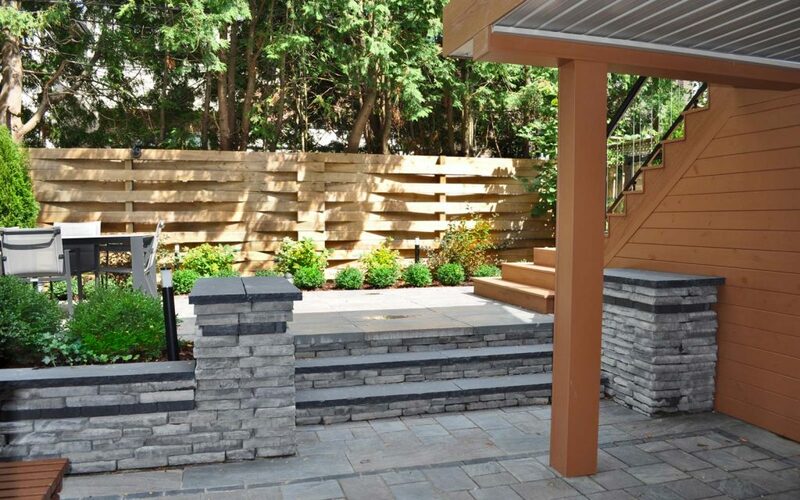 Multilevel backyard design is a way to make a small backyard space warm and inviting as well as create an additional layer of wood decking (in this case composite wood) as a useful space. This inviting dining area on a second floor deck is only a few steps from the kitchen, making it the perfect place to serve brunch on a sunny Sunday afternoon. 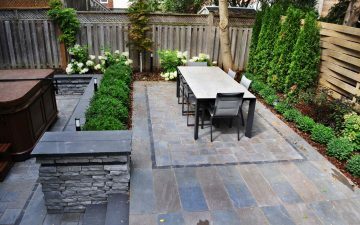 This back yard is small but it was designed as very comfortable and inviting. There are two other levels of the space. 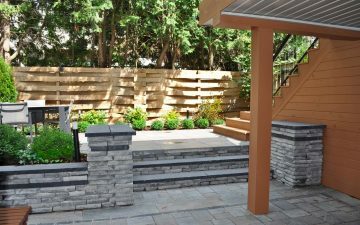 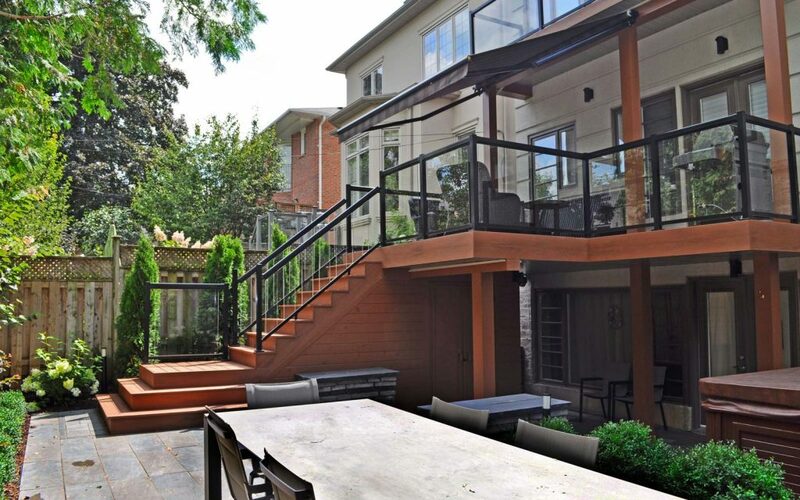 Mid level is a beautiful patio surrounded with boxwood and hydrangeas planting for large family and friends gathering. 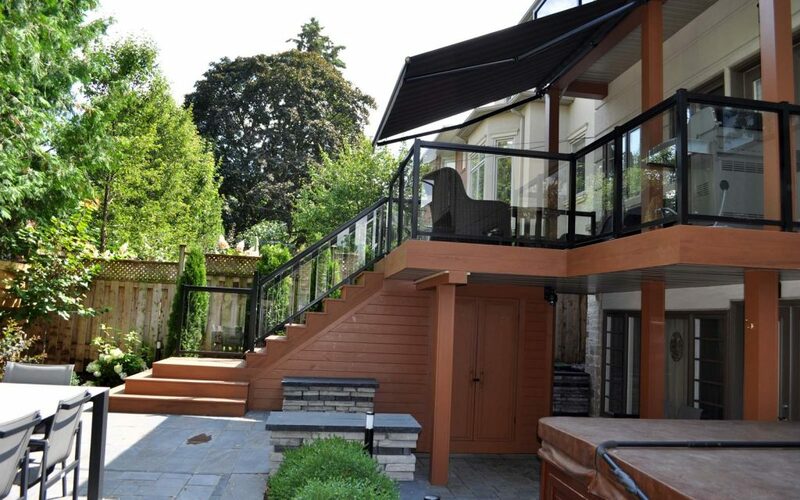 Lowest level is for enjoying a hot tub relaxation times and having refreshments at the bar.